Like any other type of business entity, applying for a consulting job at a consulting firm entails a job application process. An applicant is required to submit the necessary requirements such as a hard copy cover letter and resume to the company’s hiring personnel. Just as prompt submission is important, it is much more essential to make an effective resume and cover letter. 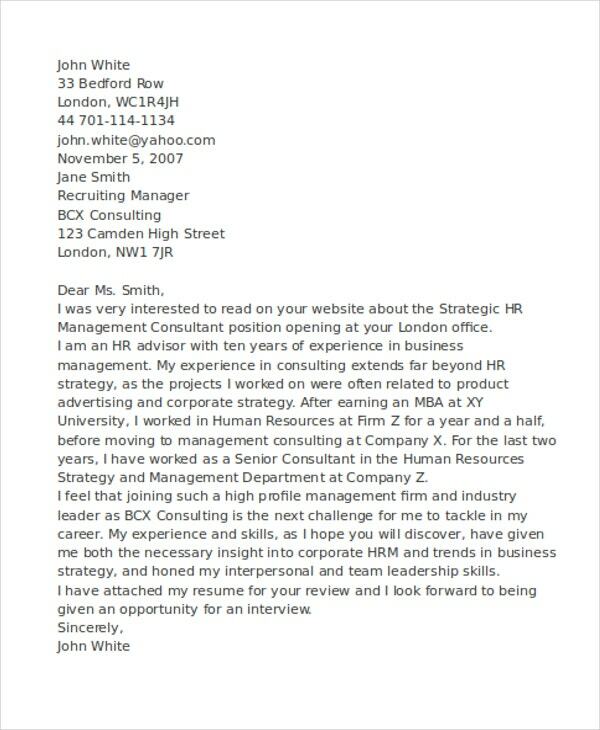 An effective cover letter needs to be given thought and effort which is true also with a resume. 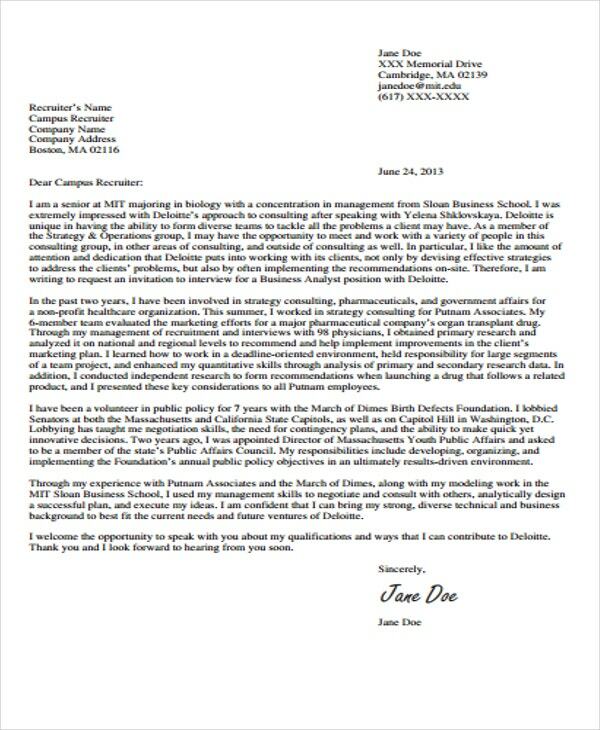 Sample templates on this website in Word and PDF format can be your reference in writing a great cover letter. Peruse and download these templates to start drafting your cover letters! Contact details. Write the employer’s and your contact information. Include your name, address, email address, and contact number. 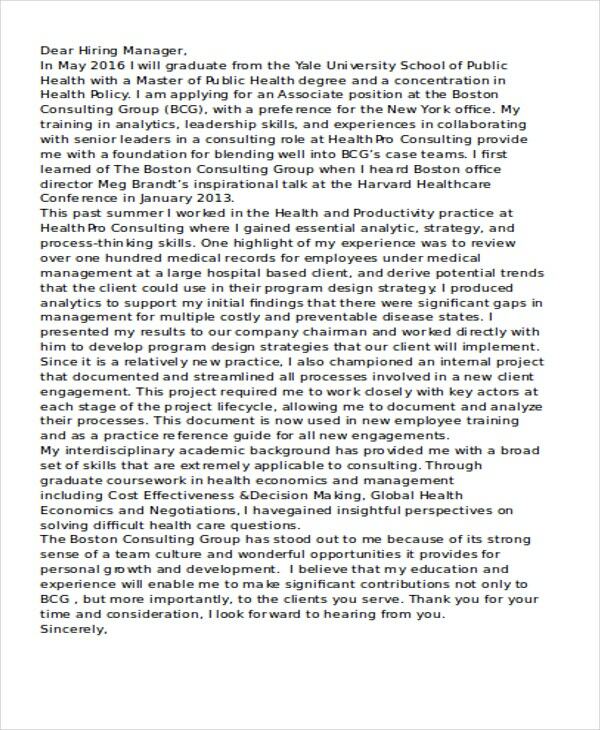 Every free cover letter template presented on our website shows different formats in writing these details. Opening salutation and introduction. Put a formal greeting to the person you are submitting the letter. Always write the name of the person. In introducing yourself at the start of the letter, include the name, the position you are applying, the degree you acquired, and the source where you learned of the vacancy. Market yourself. 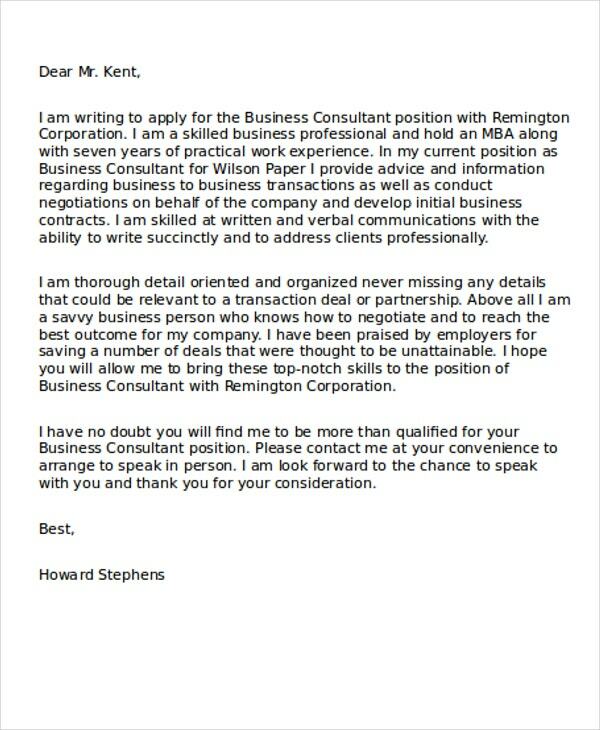 In job cover letter templates, this section is usually written on the second paragraph of the letter’s body. Do some research of the company and state the values and abilities you have that align with the interests and needs of the company. Conclusion and closing salutation. End your letter by stating your availability and your interview request. 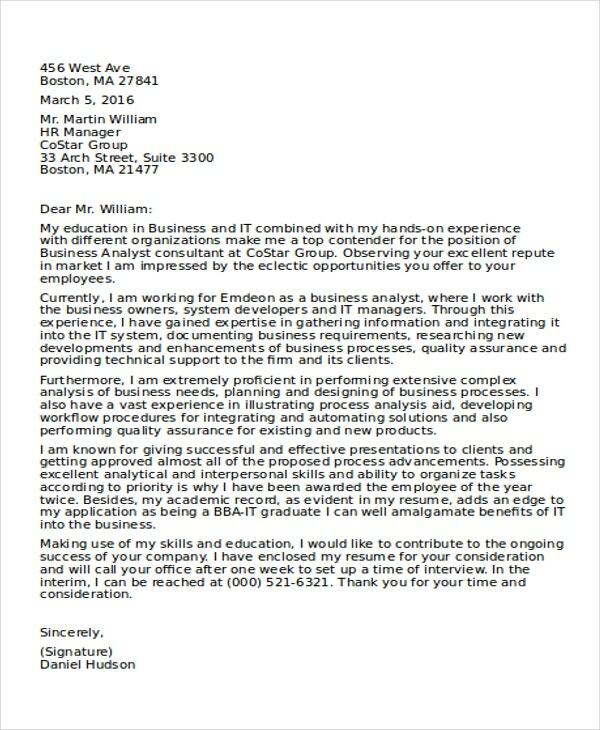 Similar to all Word cover letters, you close the letter formally, write your name, and affix your handwritten signature. 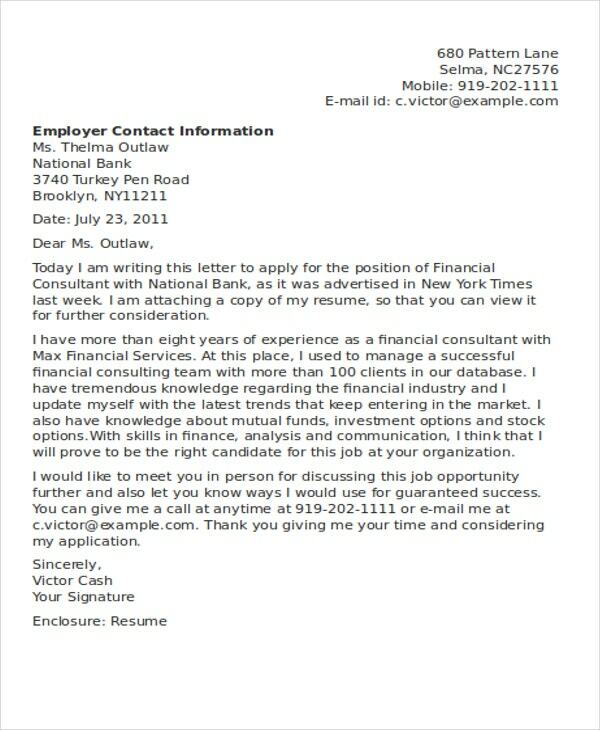 For further reference, check out more downloadable cover letter samples on this website. 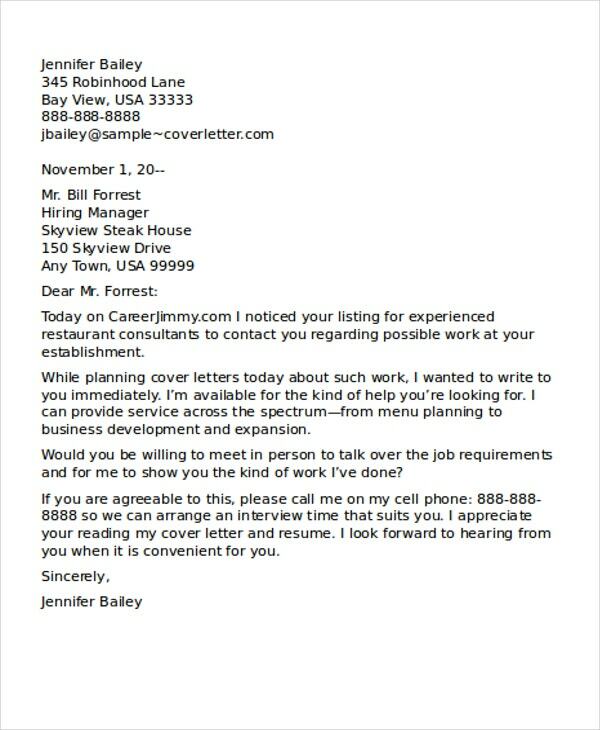 Keep your cover letter short. Limit cover letter to one page. Be direct and clear in writing the content of your letter. Always address the letter to a person. 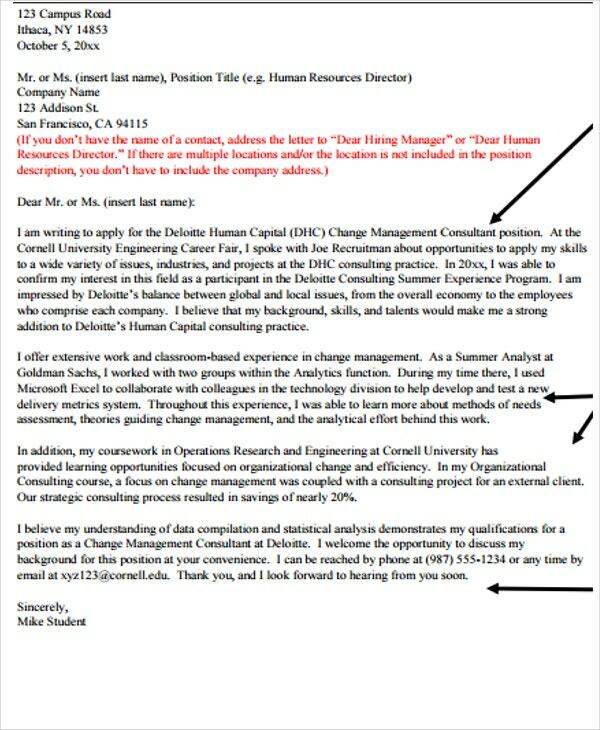 Remember to always know to whom the cover letter will be given to. Indicate the name and address him formally. Grab attention. Make the potential employer have a closer look at your cover letter and resume by writing a first sentence that would get his attention. Highlight on how you benefit the entity. 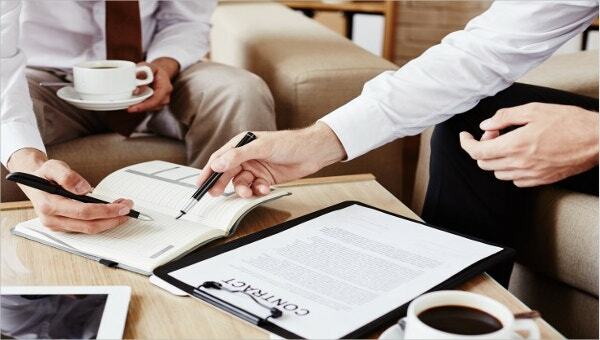 Focus on the content of your letter where you indicate how you can be of asset to the company. Have some research about the company to know what they need. Use positive action verbs. Show your passion for the position by using words that will identify your enthusiasm. End your letter on a positive note. Close your letter by showing your gratefulness and telling the employer of your interest in being contacted by them and in undergoing an interview. What matters in the submission of a hard copy or an email cover letter is to give importance to the content expressing your passion for the position you vie for. 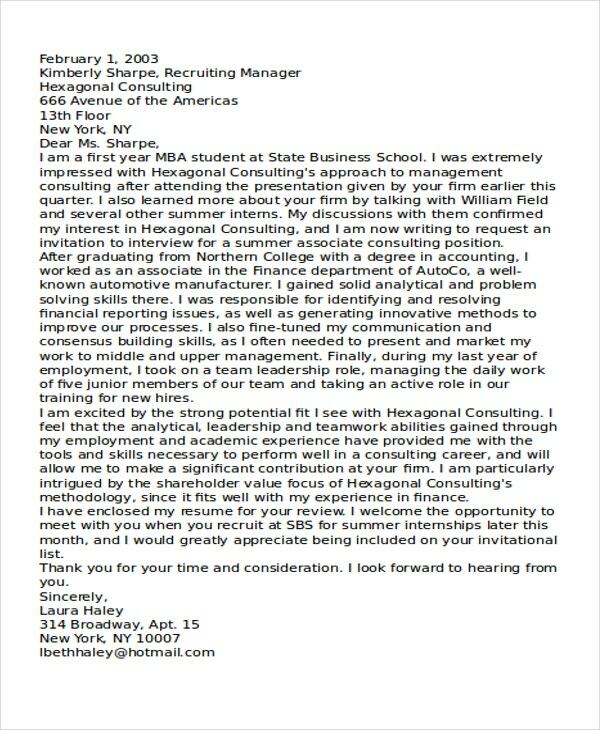 With regards to cover letters through email, you can refer to these email cover letter templates for your perusal.